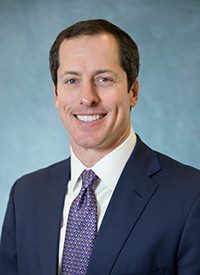 Gaines Seaman serves as a Sales and Leasing Executive of the Commercial Brokerage Division and specializes in landlord and tenant representation of office space. His inventory includes 1.5 million square feet of Class A space comprised of the Heritage Plaza building in Metairie, LA, and the Pan American Life Center and Freeport McMoRan buildings in the Central Business District of New Orleans, LA. Gaines has served on the Board of Lighthouse Louisiana and currently serves on the Alumni Board and Parent Giving Committee of Metairie Park Country Day School. Mr. Seaman is a graduate of the University of Mississippi with a Bachelor’s Degree in Business Administration with an emphasis on Marketing.